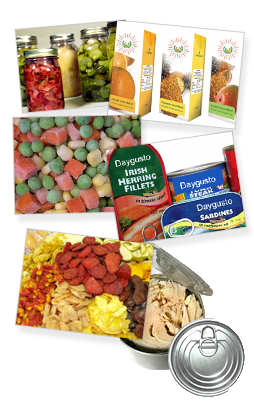 is Well-Established Leading, Exporter, Marketer and Distributor of Canned Foods, Fruits, Foodstuff in Thailand. We have a long experience in this business, exporting our products to many parts of the World. Our product research and development comprised highly skilled experienced and technical experts in food science and technology, thereby hold the strengths ability to supply various Canned Food & Beverage, good tasted to meet customers requirement. At present more than ever, our high quality control, innovation, effective marketing team and competitive price completed with an aggressive, modern management style are all major factors to becoming one of the very well-known canned foods, fruits, foodstuff exporter in Thailand. We, get this good chance to increase market share to market under our theme being consistently high quality and standards of production and customer devotion and sincerely customized order by value added business and products. To satisfy increasing demands for highly respected Canned Foods, Fruits & Foodstuff and with more than 10 years of Food & Beverage Business Experience. We maintain our commitment to the production and prompt delivery of top high quality control according to contract to all our customers. We place a lot importance our customers devotion and sincerity because it is the foundation of our business. Our mission work hand-in-hand with companies worldwide in the research development, manufacturing and marketing of international high quality food products to stringent International Production Standards. Major export markets are U.S.A., Europe, Japan and Other Asian Countries. In order to have the good business deal, please send us the enquiry which we will prompt serve on your highest satisfactory.